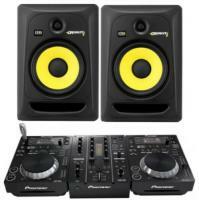 2 x KRK Rokits RP8 G3 with 2 x Pioneer CDJ350 and a DJM350 mixer. 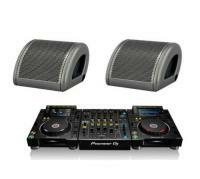 Great budget set up for using USB's Please note these speakers are studio monitors NOT PA speakers. They are suitable indoor monitoring use and are not loud enough for parties or outdoor use. 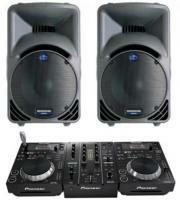 2 x JBL JRX 125 and 2 x Pioneer CDJ350's & DJM350. 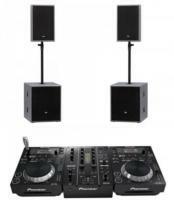 A great dance music set up. 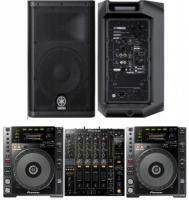 DJ Pack Mackie SRM450 + Pioneer 850's The industry standard for so many years. 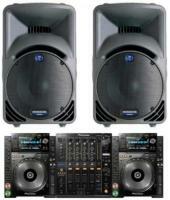 Still a great speaker suitable for both live and dance music. 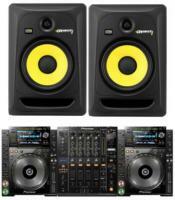 2 x KRK Rokit RP8 G3 with 2 x CDJ2000s & DJM900 A great set up for easy listening or practising DJ skills. Please note these speakers are studio monitors NOT PA speakers. They are suitable indoor monitoring use and are not loud enough for parties. 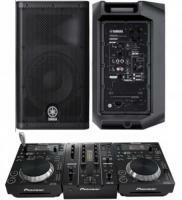 2 x Mackie SRM450's & SWA1501 with 2 x Pioneer CDJ850's and a DJM850. 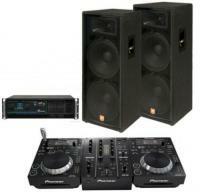 2 x Yamaha DXR15 & 2 x Pioneer CDJ2000 NXS2 with Pioneer DJM 900 NXS2. 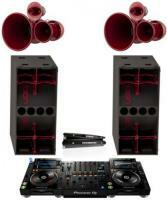 Outstanding set up with truly amazing sound quality. An Audiophile solution. Void Node 4 with Pioneer Nexus 2 Next generation Coaxial 15" with the Nexus 2 set up. Sounds just outstanding. 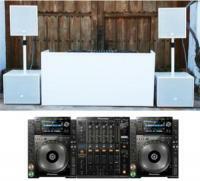 White Void Basys System with Pioneer Cdj2000's & DJM900. 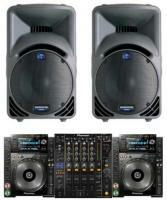 Our Most Popular wedding system. 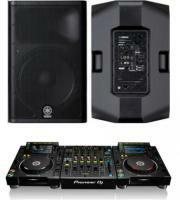 2 x Void Stasys 4 on 2 x Void Stasys 218 with 2 x Pioneer CDJ2000 Nexus 2 and a DJM900 Nexus 2 If you don't have neighbours this is great system for Dance and Live music. Suitable for up to 250 people. 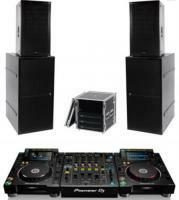 2 x Void Air Motion + 2 x Void StasysXair with 2x Pioneer CDJ2000NXS2 and a DJM900 Nexus 2 We have installed these in clubs all over Ibiza inc (DC10, Bora Bora, Sankeys, Ocean, Eden). 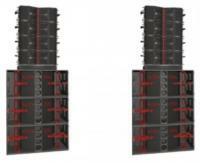 This system is loud enough for 500 people. Void Arcline 8 Festival package.